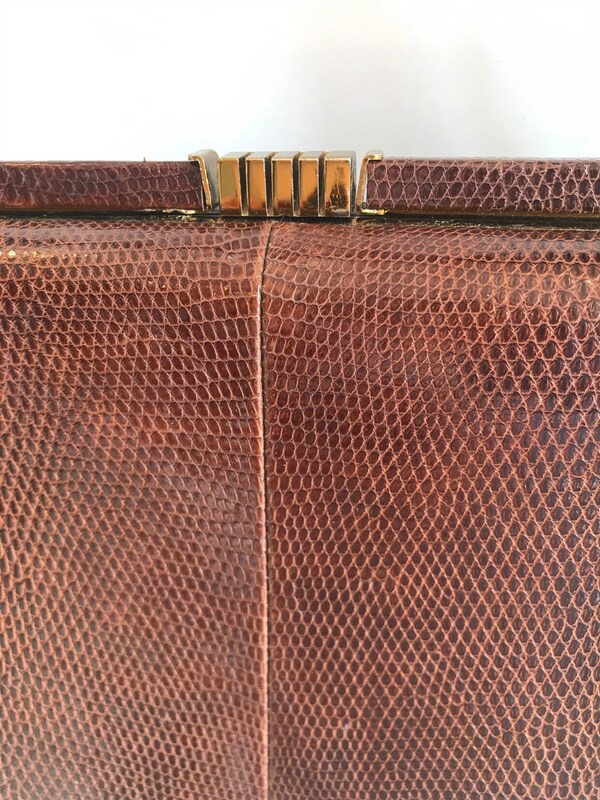 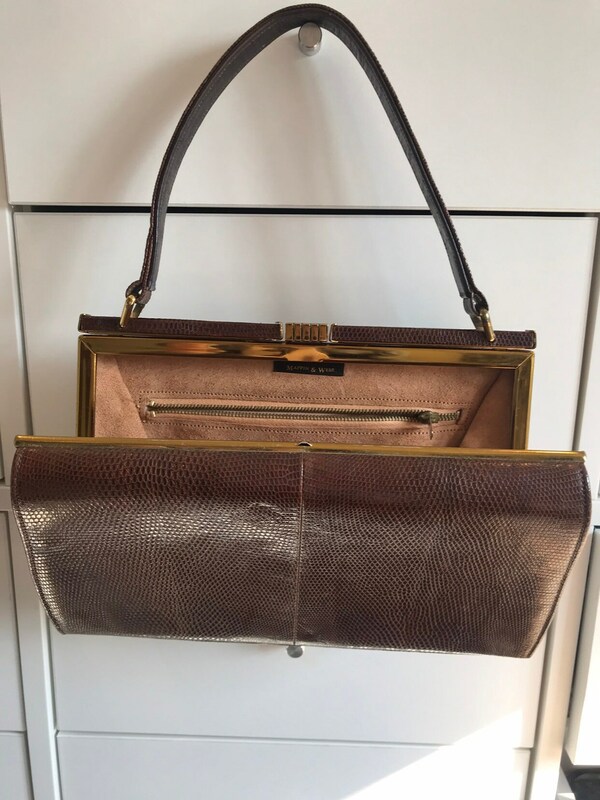 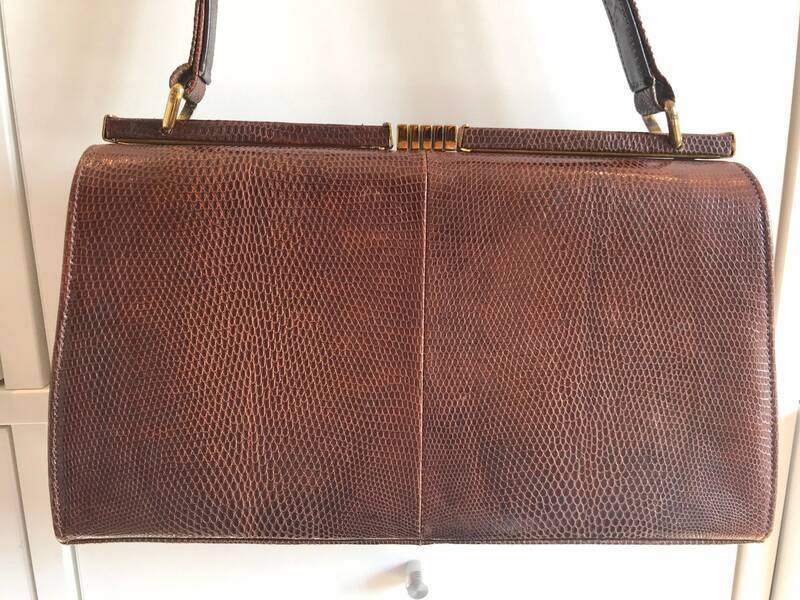 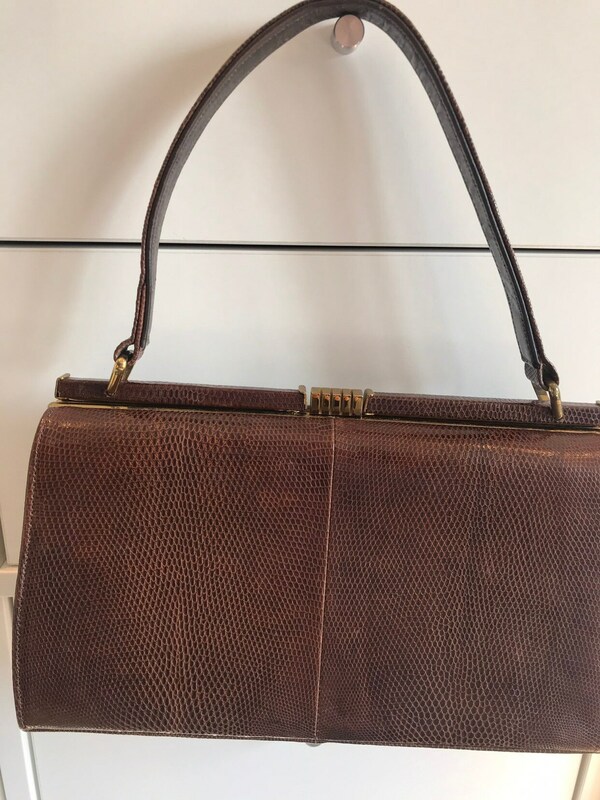 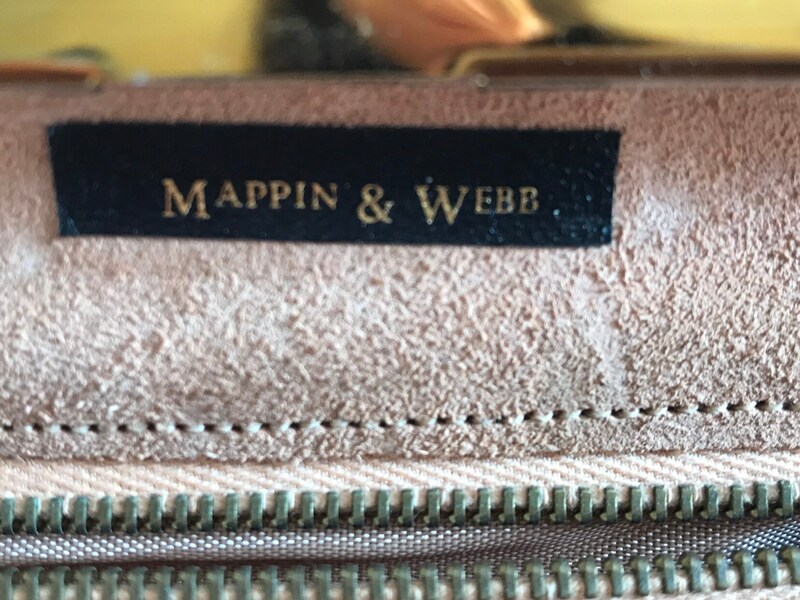 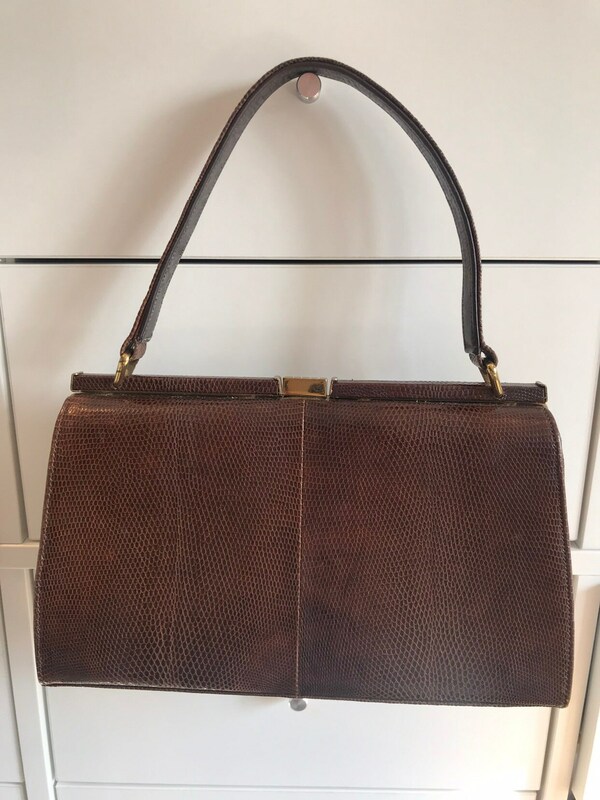 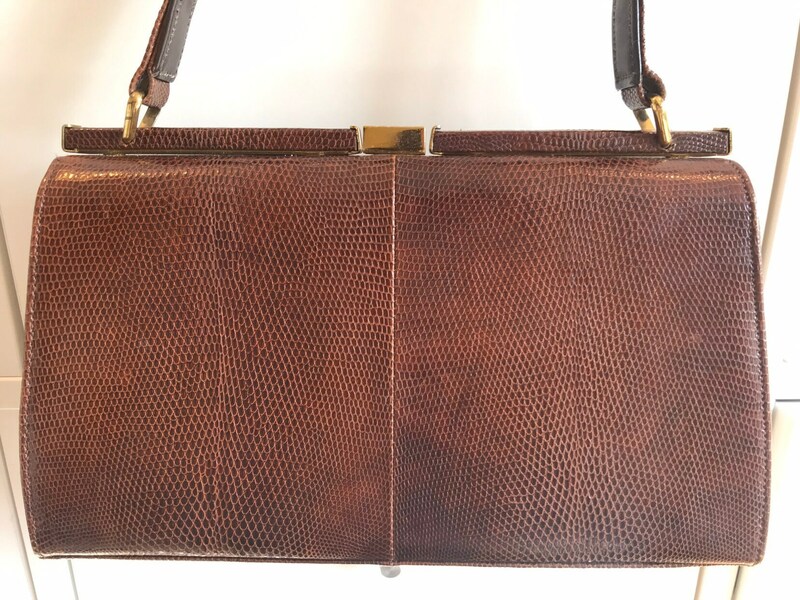 Here is a lovely vintage hand bag by Mappin & Webb. 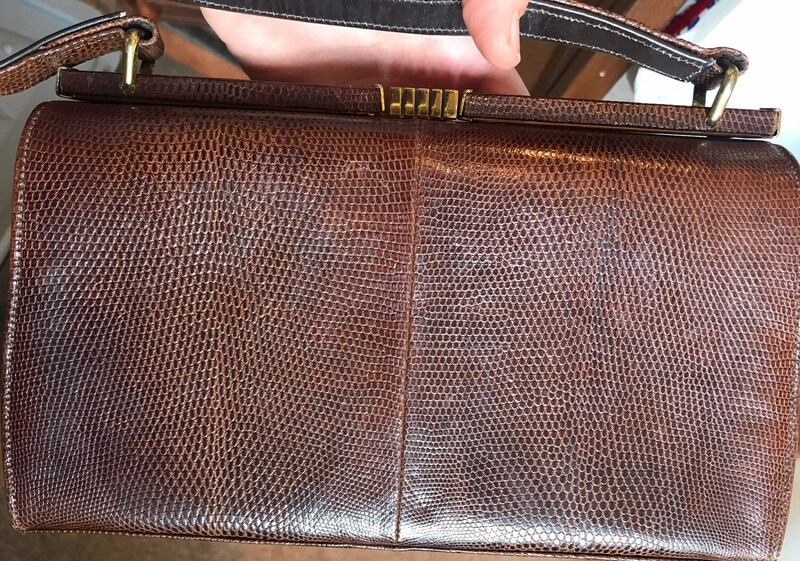 It has a great shape and very high quality snap closure. 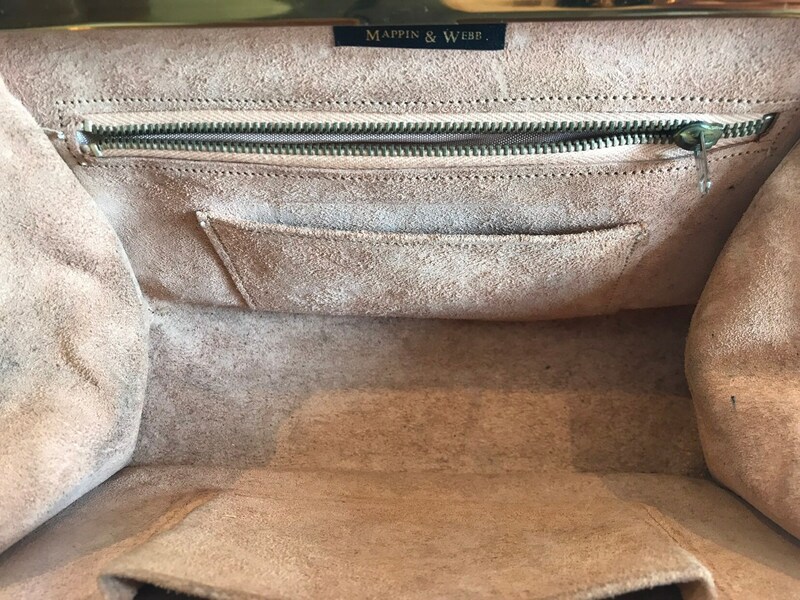 The interior is suede and remains in excellent condition. 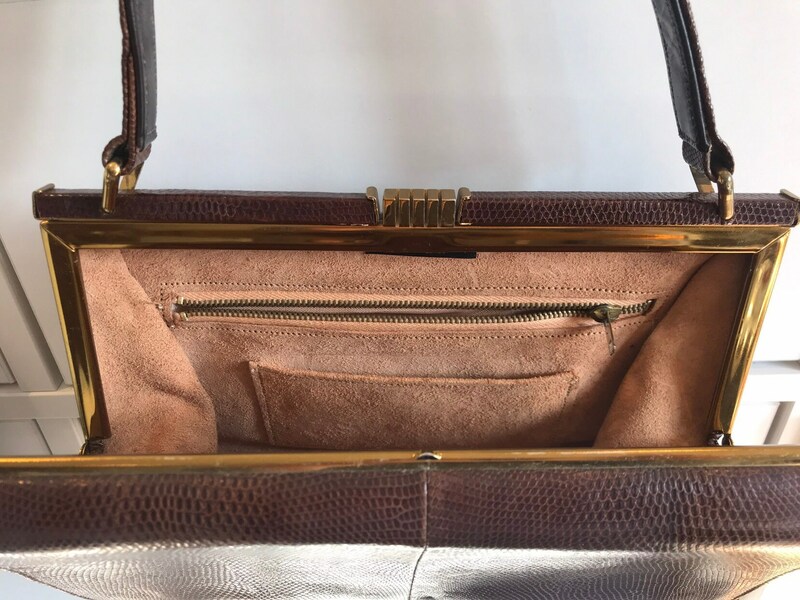 The bag measures approximately 15” inches in height by approximately 10” inches.